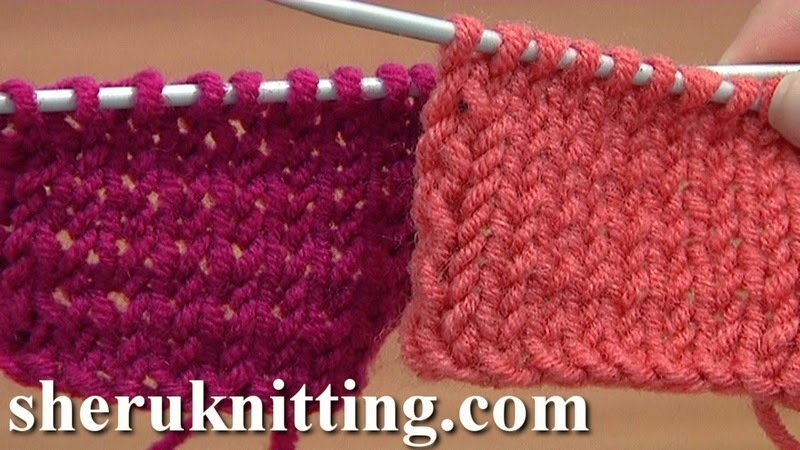 In this tutorial you will see how to work the Stockinette stitch. The Stockinette is a popular type of knitted fabric. The stockinette made up of knit and purl stitches. Knit stitches are worked on the right side of a fabric and purl stitches are worked on the wrong side. I work the edge stitches to make a nice edge on my knitted piece. For the edge slip the first stitch purlwise and purl the last stitch of every row. Thanks for watching!